The WHITE (Artic/Tactical) Tactical Camouflage is a natural color in use for concealment and camouflage in Snowy Areas & Mountainous Terrains. Variations of White color are in use by hunters & military forces across the world for adaptation to artic climate. 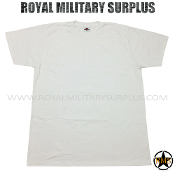 The White camouflage also offers various advantages for warfare and tactical operations in winter conditions. The ability of the White color to reflect all spectrums of light make it ideal in snowy light-overexposed areas by concealing body silhouette contours & natural shades. 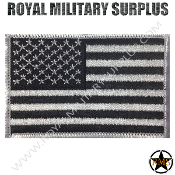 Officially issued to National Armies, Military Forces, Special Artic Forces, Mountain Rangers, Recon Units and Security Forces around the world. 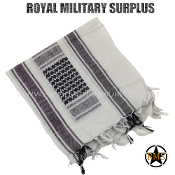 The Canada based Royal Military Surplus online store offers range of quality Military Kits, Combat Uniforms, Tactical Gear and Military Apparel in WHITE Artic Tactical Camouflage Pattern.